Anime adaption Ghost in the Shell hits our screens this Thursday, and in one last effort to squeeze every once of hype out of it, one final trailer has come our way. 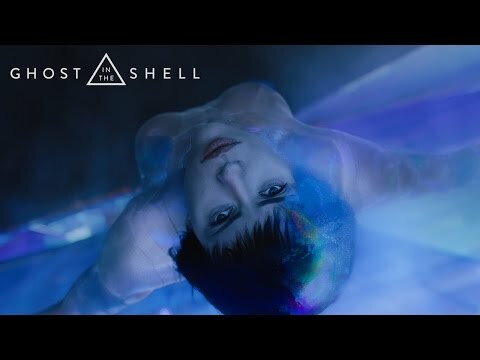 There’s nothing much new on offer here, giving us another look at the gorgeous visuals director Rupert sanders has cooked up for us, but it does shed some more light on the plot, which seems to be just retreading the oft-seen robot seeking revenge on the company that made them a robot narrative. Hopefully there’s more to it than that, and the plot will be as strong a step visuals. Synopsis: Based on the internationally-acclaimed sci-fi property, “GHOST IN THE SHELL” follows Major, a special ops, one-of-a-kind human-cyborg hybrid, who leads the elite task force Section 9. Devoted to stopping the most dangerous criminals and extremists, Section 9 is faced with an enemy whose singular goal is to wipe out Hanka Robotic’s advancements in cyber technology.